Fanciful Rentals is a thoughtfully curated collection of specialty rentals that will elevate any occasion, by giving it that special feel. Owner Brittany has always loved to collect special pieces and create beautiful spaces for people to gather. Spaces that bring joy where people create long-lasting memories. Born and raised in Seattle, Brittany resides in Ballard with her husband Brian, and their French Bulldog, Wally. 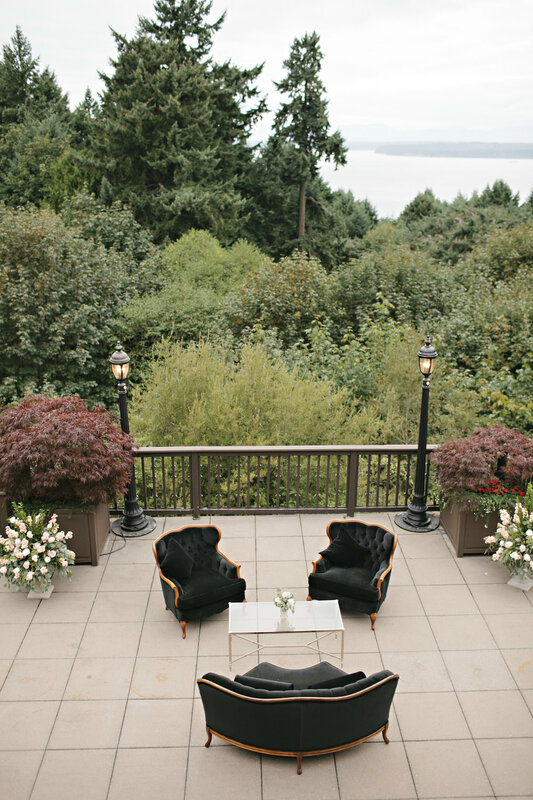 Brittany and Brian were married on August 15, 2015 at the beautiful Dunn Gardens and Seattle Golf Club, for which Brittany relished the opportunity to plan and design her own wedding. Inspired by her late grandmother and a family of amazing women who love to entertain, and create memorable family gatherings, she drew from that inspiration to piece together her vision. She incorporated vintage furniture, collected vintage stemware, accent pieces, and chose feminine soft hues. One of Brittany's favorite aspects of this process, was collecting those one-of-a-kind pieces that made the occasion authentically theirs. She spent their planning process searching and selecting those perfect pieces that encompassed their vision. Each time she found a great piece, there was a sense of excitement and accomplishment. Through this process our inventory was built, and continues to grow. She decided she would love nothing more than to share these great finds with other brides, planners, designers, and hostesses. Brittany is also available for event styling and would love to assist in bringing your vision to life!